I convinced myself it was a combination of altitude and jet lag when half way up the Aspen’s Ute Trail I was passed by a granny in shorts and a crop top talking on her phone. “Excuse me young man” she said as she passed me at the speed of light. This is Summer in Aspen in a nutshell; fit, outdoor people swapping their skis for shorts and sun tan oil and lovin’ life. 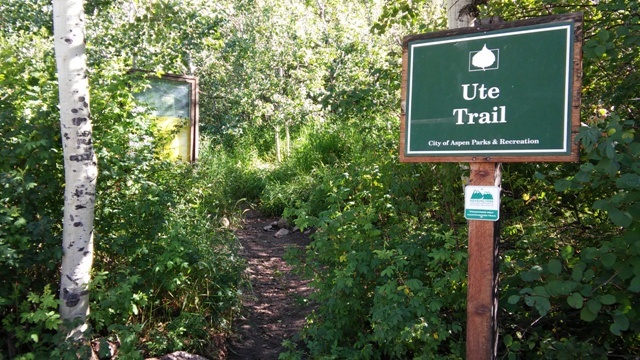 The Ute Trail is for most, a quick 40 minute workout halfway up Aspen mountain on a steep and narrow switchback path with a knee pounding descent back the same way. 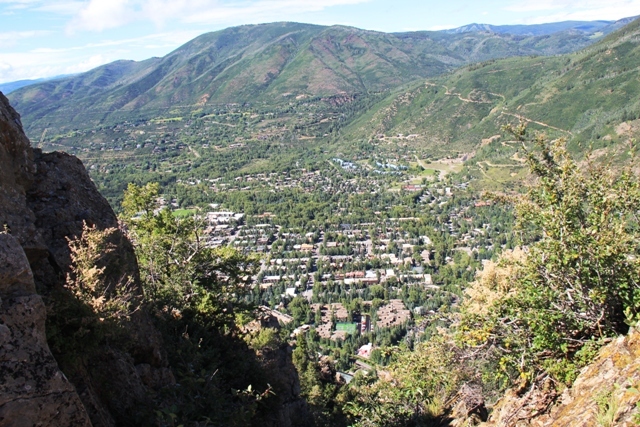 Fortunately, with the help of a Gandalf-like staff I made it to the rocky outcrop plateau and was rewarded with a glorious view of the Colorado mountains and Aspen and the Roaring Fork River far below. Some hardy folk continue on up another hour to the very top of the mountain and either take a gondola back down or, for the more chiseled, simply run back down. Aspen in summer is quite magnificent. So magnificent in fact, more people visit in July, than any other month. And why not. This is a town where founder Walter Paepcke’s legacy of mind body and spirit continues to shine; free concerts, free transport, free art galleries, music festivals, healthy food and some of the greatest natural outdoors in the world. 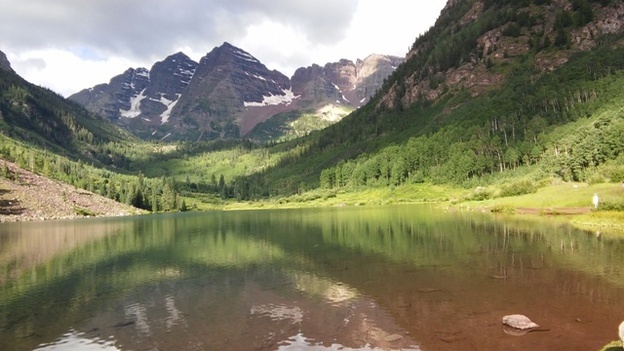 The legendary Maroon Bells, twin peaks of the Elk Mountains near Snowmass and rumoured to be the most photographed vista in the state lead the pack, but with mountain biking, white water rafting, hot sunny weather and golf, you’re really spoilt for choice. Aspen is a playground for the rich and famous of course, just checking out the line of parked private jets at the airport, the art galleries and the wonderful properties that decorate the landscape are testimony to that, but the reality is it’s all pretty low key. That guy in shorts, beads and flip flops ahead of you in the checkout line in the town market store could be a penniless hippy or a billionaire property magnate. You just don’t know. 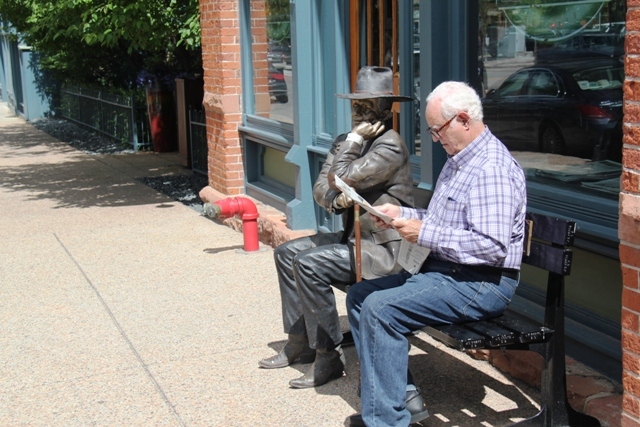 Luckily, for mere mortals, Aspen’s Chamber of Tourism has launched an “affordable Aspen” project highlighting the lower cost accommodation and dining opportunities and the many free events available in town. 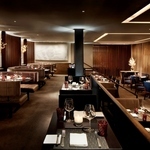 On the opposite side of the coin, I was lodged in luxury at The Little Nell, Aspen’s only five star, five diamond hotel. Little Nell was, ironically, a working lady of the night back in Aspen’s silver mining days and one mine owner was so taken with Nell’s talents, he named his mine after her. All that is a far cry from today’s incarnation, a magnificent property that works on every level, from its beautiful rooms, to its service and award winning Element 47 restaurant. After my Ute trail exertions I made my way to Victoria’s for a well earned coffee. Just a short stroll away from The Nell, Victoria’s is a very popular locals’ cafe. Owned by a true Aussie, it serves great coffee and lots of home-made pastries and goodies. Aspen is small enough to wander around easily. It has an easy going alternative vibe not unlike San Francisco, where trendy, modern people come to relax and enjoy themselves. 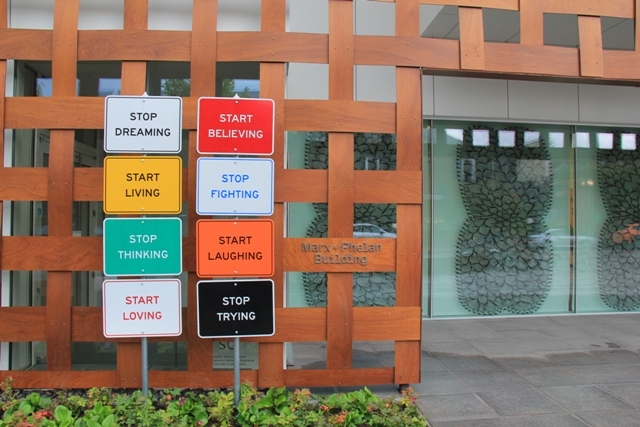 The free Aspen Art Museum is an extraordinary building to visit. A 30,000 square foot space designed by Prtizker-prize winning architect Shigeru Ban, it showcases drawings, paintings, sculptures and multi-media from talented modern artists from all over the world. When I was there an exhibition of English Turner prize winning artist Chris Ofili was in full flow in five galleries over three floors. The restaurant up on the top floor is not too shabby for a light lunch either. 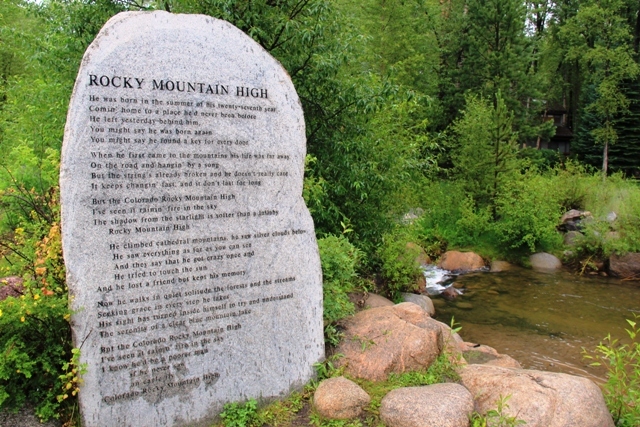 A short walk from the museum is a beautiful rock garden commemorating the late John Denver, the country singer who immortalised Aspen and Colorado in his many songs. His family still live in town, and reading his lyrics etched into the rocks brought some unexpected emotion. 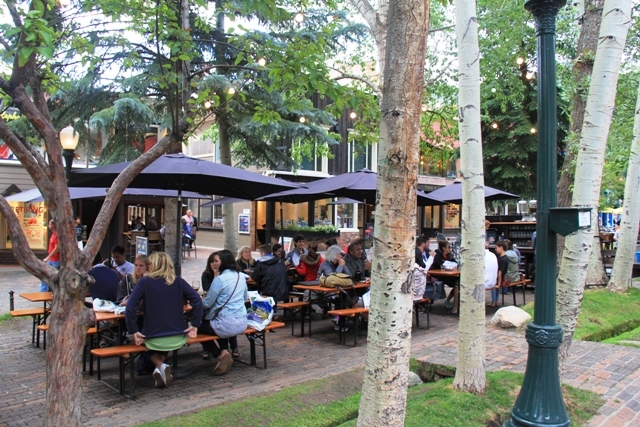 Back in the centre of Aspen there are a couple of pedestrian avenues, Hyman and Cooper where in summer the outdoor bar tables do great business. I particularly enjoyed HOPS culture where the myriad of craft beers on offer was mind boggling. I took a flight of five small ones just to test them out you understand. Away from the town I tried out Aspen Golf Club, did my pilgrimage to the Maroon Bells, did downhill mountain biking and rode the white water rapids of the Colorado River. I even had time to fit in a set from Woodstock legend Graham Nash at the Belly Up Club, Aspen’s late night haunt. 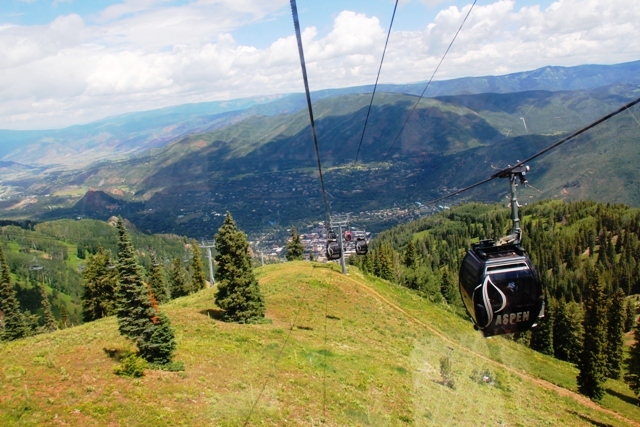 If you’re not fancying a hike up the mountain, the alpine gondolas glide right into town, and taking a 15 minute ride up 12,000 feet to the peak was a thrilling way to discover the stunning Colorado landscape. 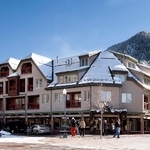 Aspen was full of surprises; the Silverpeak Pharmacy for example, taking advantage of Colorado’s legal stance on marijuana to offer a very high end, almost Harrod’s like shopping experience of the happy weed. Then there was the Hotel Jerome, an extraordinary homage to its old western roots but still managing be a top luxury hotel. My particular favourite though apart from the bear proof bins was a lovely lady called June who ran the cheese counter at Aspen City Market, the one stop store for wines and farm fresh produce. She just wanted to feed me tasters of all the hundreds of cheeses on display. “you don’t need to buy anything” she told me ” just taste, and I’ll join you.” “I would have brought wine had I known” I said. Perhaps she was the granny who passed me on Ute….. The Little Nell Rooms from £400 including in town and airport transfers. United offers nonstop trans-Atlantic service from more U.K. cities than any other airline, including daily nonstop flights from London Heathrow to its hub at Chicago/O’Hare, with onward connections to Aspen, Colorado and over 300 other destinations across the Americas. Return fares in Economy from Heathrow to Aspen start from £888.16 (including taxes, September 2015). 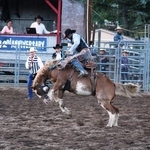 For latest prices, visit www.united.com or call 0845 8444777.